The Crystal River, just downstream from Redstone. 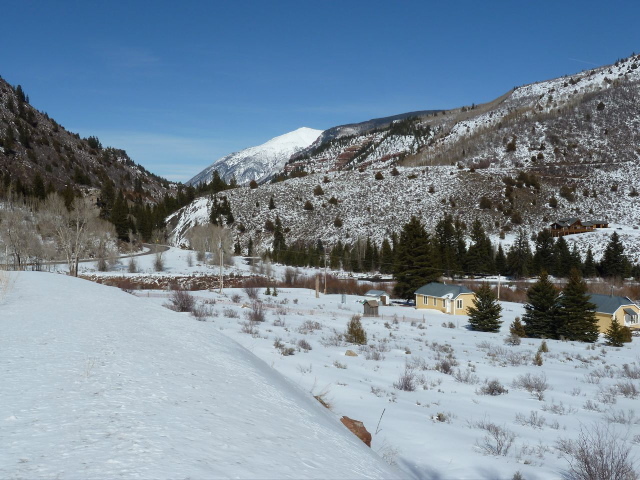 A dam once envisioned on the upper Crystal River would drown the town of Redstone under an artificial lake bigger than Ruedi Reservoir, submerging the Redstone Castle and putting the town’s historic coke ovens under water. It’s one of two conceptual dams on the books for the upper Crystal. While it is not clear if anybody actually plans to build these dams, or a smaller version of them, officials are keeping the plans alive in state water court, keeping alive the prospect of some sort of water storage project in the area. 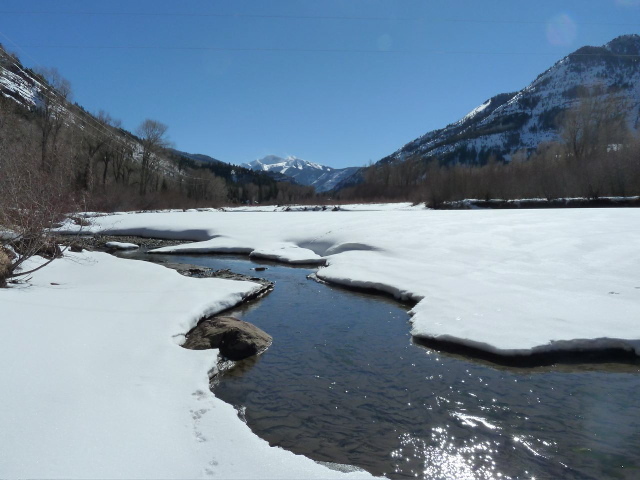 That’s raising alarm among Crystal Valley residents, many of whom would like to see the conditional water rights abandoned and the Crystal protected for its wild and scenic qualities. Few people, including officials, think the Osgood Reservoir will ever be built, says Redstone resident Bill Jochems, whose house would be under 200 feet of water if a dam were built. Jochems is a member of the Crystal River Caucus and a veteran of the Crystal Valley Environmental Protection Association, which fought against the reservoirs in the 1970s, and won. Or so it seemed, until a fresh set of color maps showed conceptual plans for the Osgood and Placita reservoirs are still alive. 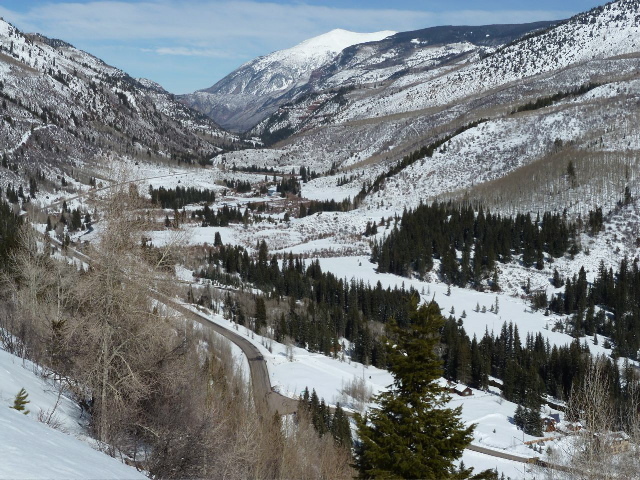 After reviewing these maps, the caucus voted 34-0 in January approving a motion to ask Pitkin County to fight the conditional water rights associated with them. 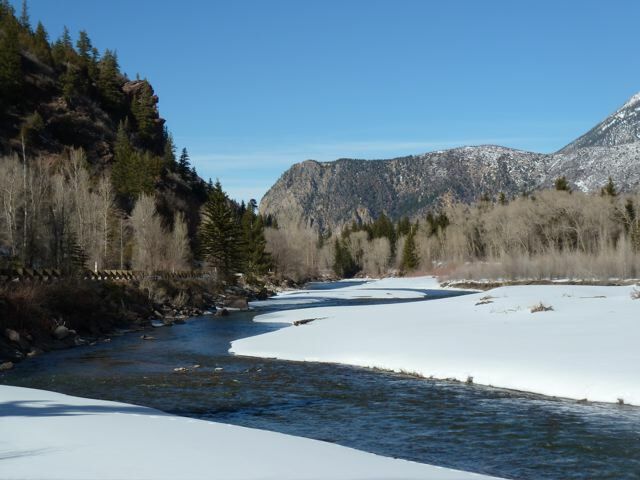 And then the Crystal Valley Environmental Protection Association sent a letter to Pitkin County, warning the specter of dams is hindering a federal Wild and Scenic River designation. The group is also concerned the potential reservoirs will push back the boundaries of the proposed Hidden Gems wilderness areas, as the maps show and the districts have requested. 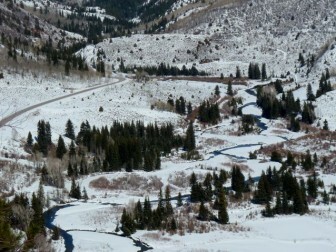 The fresh opposition in the Crystal River valley comes as the two organizations that hold the conditional water rights, the Colorado River Water Conservation District and the West Divide Water Conservation District, are expected to file their diligence reports in state water court in Glenwood Springs for Judge James Boyd to review and rule on. The districts must show they are moving toward “perfecting” the storage and diversion project in order to take water out of the river and put it to “beneficial” use. Such “diligence” hearings are required every six years and the districts have so far successfully retained their 1957 conditional water rights, which were approved by decree in 1958. Representatives from both districts are meeting March 16 to plan for the upcoming filing. The West Divide District holds conditional rights to take water from the Crystal to divert the water to irrigate the dry mesas south of Silt and Rifle or to produce oil shale. And the River District’s board, which represents 15 Western Slope counties, is set to decide in April on its approach to the May filing deadline. In all, the River District holds conditional water rights to store 271,000 acre-feet of water in five reservoirs associated with what’s called the West Divide Project. There have been detailed plans to send water from the Crystal to the dry mesas on the opposite side of the hill since 1909. And a 1966 plan was authorized by Congress that would irrigate western Garfield County fields, provide water to growing towns along the Colorado River and pipe water for the oil shale industry expected to develop north of Rifle. Today, the River District still holds a conditional right to store 128,728 acre-feet of water behind a 280-foot dam just downstream from Redstone’s charming and historic main street. The Osgood Reservoir, named for Redstone founder John C. Osgood, would be larger than Ruedi Reservoir, which regularly stores about 102,000 acre-feet of water but has a top physical capacity of 119,000 acre-feet. It also holds a conditional right to store 62,009 acre-feet behind a 285-foot-tall Placita dam, just downstream from the turnoff to Marble, at the site of what was once the largest coal mine along the Crystal. Today, it’s marked by two yellow houses on a hilly curve downstream from a wetland where the Crystal meanders through red willows. 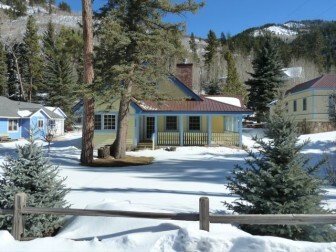 Both sites are in Pitkin County. The rights are conditional until the storage facilities are in place, and in some respects are theoretical. But the River District asserts that even if the specific storage and diversion plans may have changed since 1957, the conditional rights remain. The two districts are still considering their options, said Chris Treese, the River District’s external affairs director, but if they file for diligence, it will be to prove they have been diligent about planning, and about protecting, the water rights. The filing is not expected to include new construction plans for various dams, canals and tunnels proposed to store and divert water from the Crystal. Water projects can “morph” as water demands change, Treese said, so even if the districts don’t want to build the specific facilities that created the conditional water rights, Colorado water law is flexible enough to allow the district to hang on to the rights and develop some type of Crystal storage project. Despite that flexibility, state water law does require holders of conditional water rights to show they “can and will” build the facilities in a reasonable time. That’s an issue the Crystal River Caucus believes Pitkin County can challenge them on. “I don’t think they’ve ever looked the judge in the eye and said, ‘Your honor, we can and we will build these reservoirs,'” Jochems said. Even if the big dams on the Crystal are not considered possible, at least one small dam appears to be on the drawing board. Many in the Crystal River valley thought the dams had been defeated decades ago. Wilderness Workshop’s effort to expand wilderness boundaries closer to the Crystal prompted opposition from the districts, which wrote a letter demanding new boundaries that wouldn’t interfere with their conditional water rights. It was the districts’ maps, which show how the proposed boundaries would conflict, that galvanized the Crystal River Caucus and CVEPA. But after getting a fresh look at the two big conceptual reservoirs, Crystal River Caucus members want the water districts to abandon their conditional water rights and remove the threat of any dams on the Crystal. It’s not the first time that the Placita and Osgood dams have run into local environmental opposition. In fact, the federal Bureau of Reclamation credits residents in the valley with keeping the West Divide Project shelved. Reclamation scrapped the plans for the dams on the Crystal and instead developed a plan to pump water up to the mesas from the Colorado River, but ultimately it found that scheme was economically unfeasible. The West Divide board has been preparing for the May hearings for over a year. According to minutes from its January 2010 board meeting, its attorney feared “most of West Divide’s conditional rights could be lost” and recommended quarterly meetings with the River District to discuss strategy. By November, West Divide board members had taken a field trip of the sites for the potential West Divide Project’s reservoirs. The board’s conclusion: There is “no possibility” of building the Osgood Reservoir, its minutes said, but it might still be “possible” to build a “small reservoir” that would impound 5,500 acre-feet on the upper Crystal River at Placita. Samuel Potter, the president of the board of the West Divide Water Conservancy District, acknowledged district representatives were meeting March 16 to discuss the hearing and had met with Crystal River Caucus members, but he didn’t return messages seeking elaboration. The West Divide Water Conservancy District was formed on April 17, 1964, in anticipation of the West Divide Project moving forward to provide water for agriculture, growing towns and the prospect of oil shale development. Like the River District, it is a taxing entity and levies property taxes across its district boundaries. “That’s galling, to be paying taxes to someone who theoretically wants to put me under 200 feet of water,” Jochems said. Given the potential value of the conditional water rights and their role in a larger water management puzzle, it’s unlikely the districts would abandon the water rights altogether. And the districts know that smaller dams and reservoirs on the Crystal, built with the water rights created by the conceptual bigger dams of old, could be both feasible and valuable. A 1995 study prepared for the River District by Resource Engineering Inc. concluded a smaller dam on the Crystal could benefit Carbondale. “As development occurs along the Crystal River, whether individual homes, small subdivisions or commercial development, new water supplies will need to be developed,” it said. The West Divide Project is a participating project. The Crystal Valley Environmental Protection Association thinks even the specter of a dam is a problem. Obtaining federal Wild and Scenic designation for the Crystal River has long been a goal of CVEPA members, although it had not been acted on for decades until recently. The Bureau of Land Management did an eligibility report in 2007, but did not move to the next level of study, according to BLM spokesperson David Boyd, as there is under half-a-mile of BLM land along the Crystal. There is no doubt that the upper Crystal River valley is scenic, and the Crystal River is still somewhat wild. While the river is heavily diverted for irrigation, it is not dammed and unlike the Fryingpan and Roaring Fork rivers, its headwaters aren’t siphoned to the Front Range. But Wild and Scenic regulations do not preclude rivers with dams and reservoirs. The designation can be applied to specific stretches, meaning the designation might not prevent dams from being built. Whatever the outcome from what is likely to be a long Wild and Scenic process, Crystal River valley residents are urging the county to oppose the conditional water rights this spring if the water districts file to keep them. But if the two water districts want to retain what they consider valuable water rights, they have to soon convince Judge Boyd in water court that they are making reasonable progress toward perfecting their 1957 water rights, which are predicated on the idea of sending water around the corner to the mesas. The districts must show the court there has been a “steady application of effort” to complete the project “in a reasonably expedient and efficient manner under all the facts and circumstances.” The districts successfully did so in their 2005 diligence filing. As Treese explains it, the court is looking for evidence of long-term diligence toward perfecting the water rights, not construction plans. And he said the districts do want to keep their options open. 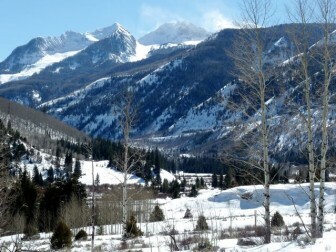 The same decree that created the conditional rights on the Crystal made official the water rights for Ruedi Reservoir. 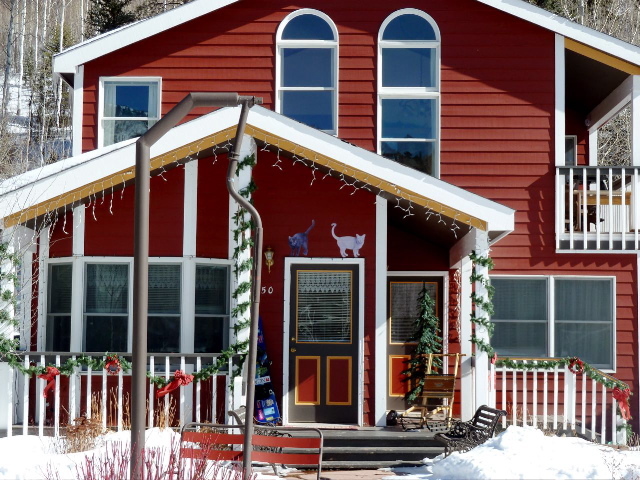 Ruedi was once the name of a village with about 18 homes, a train depot and a school along the Fryingpan River. Groundbreaking for the dam was held on July 19, 1964. The village of Ruedi is now under water. Our local media partners on this story are KDNK and the Aspen Daily News.